Join Our Crowdfunding Campaign! Tech Titans: Community Citizens? The biggest names in tech generally have good reputations as corporate citizens. But many companies fail to go beyond traditional philanthropy in their corporate citizenship. Though philanthropy is all well and good, tech companies in the San Francisco Bay Area are often isolated from the communities in which they operate, and in which their employees live and commute. This constitutes a major blind spot. 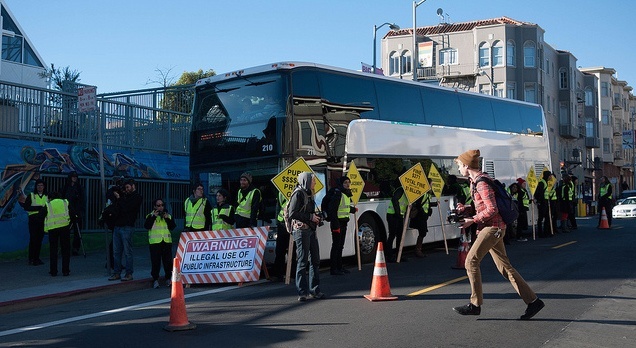 As community members, the largest value generators of the Bay Area put massive pressure on public infrastructure – from available housing stock to transportation – which has a negative impact on the communities these companies call home. What's their real responsibility to the community? And, are they meeting it? TriplePundit wants to investigate. Here's how we're making it happen.